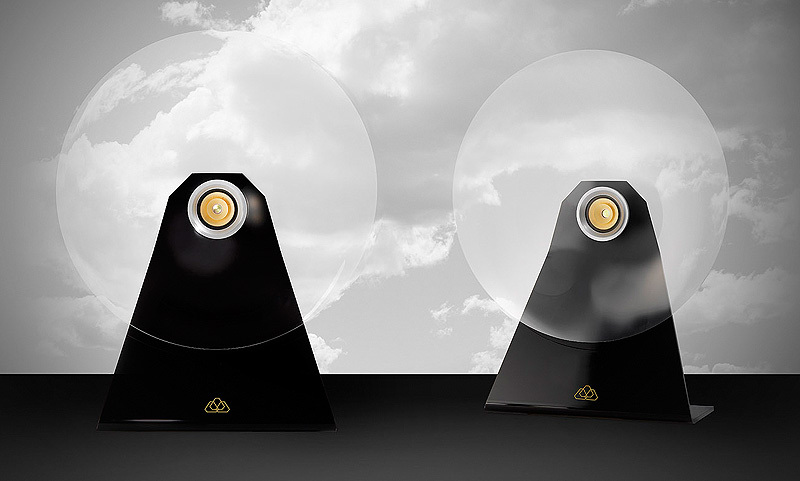 The Excenter is a new horn speaker which not only looks unique, but sounds unique. 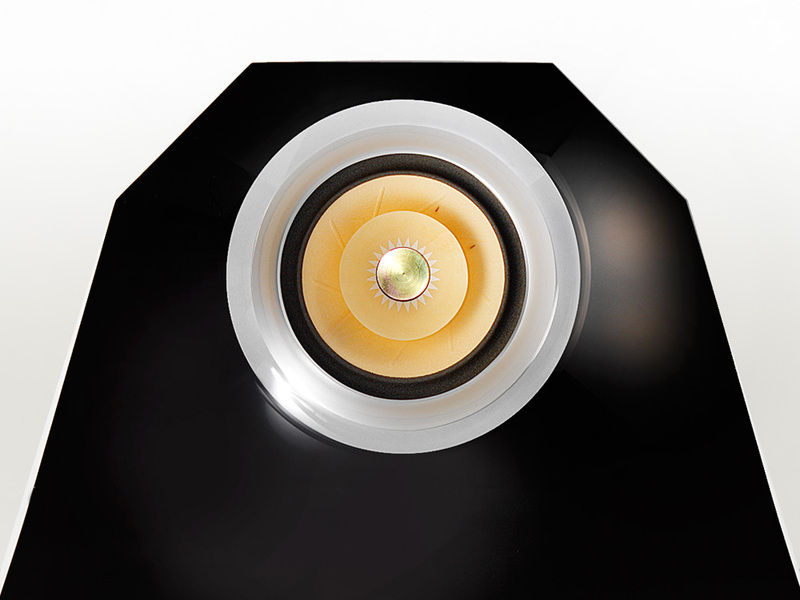 The impressive power and intensity with which the large Excenterhorn reproduces music is reminiscent of the colossal sound of speakers with a large membrane area or large emitters, however, they far outnumber them. Playback is dynamic and detailed; instruments and voices are reproduced with remarkable finesse, plasticity and authenticity. 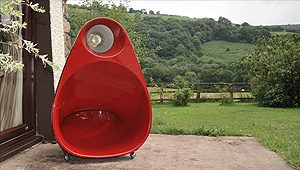 The speaker is completed by the subway subwoofer whose design will be adapted to the Excenter. 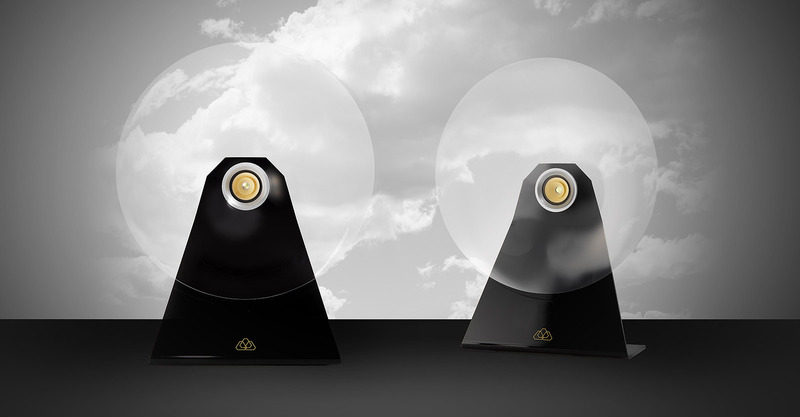 The advantages of an eccentric design, an extremely flat horn and a large flat horn mouth opening were already apparent with the smaller Excenterhorn and were used in our Jazz and Pnoe speakers. What also surprised us initially was that despite the quite unusual characteristics of the spherical wave horn there is a remarkable increase in efficiency. The wavefront of the speaker is uniform and its dispersion is practically perfect. 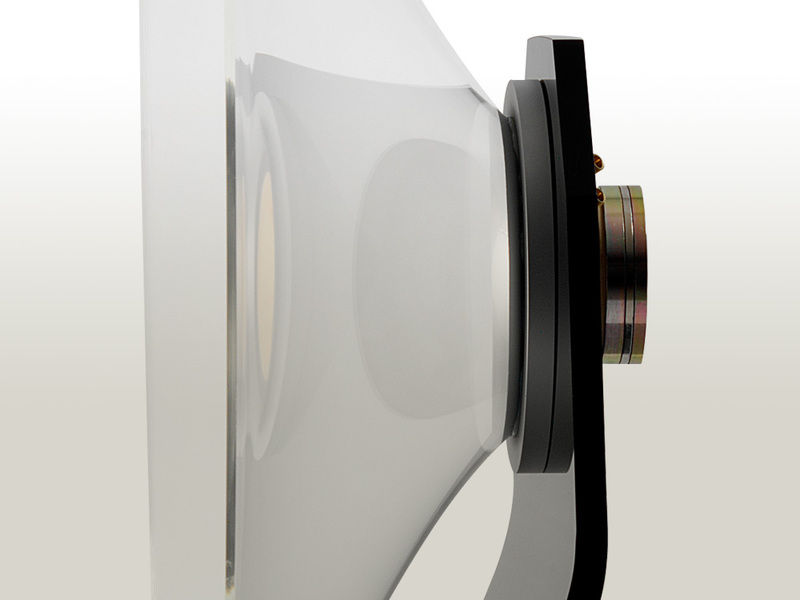 In addition, due to the horn’s lack of pressure chamber, its dynamics are not compressed, thus avoiding distortion. As in an open baffle, the full-range speaker emits sound to the back of the room, avoiding the negative reflections of the walls in a box. 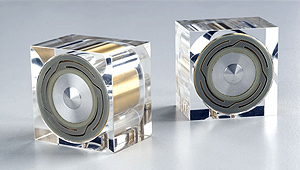 Thus, the membrane of the chassis is not deflected in its return movement, improving the quality of the music playback. Because of this, the sound of the Excenter is free and open and gives the music a very natural character. However, the Excenter is not as critical to the setup as an open baffle. On the contrary, the speakers can even be placed directly against the wall and you can enjoy them even at short listening distances. 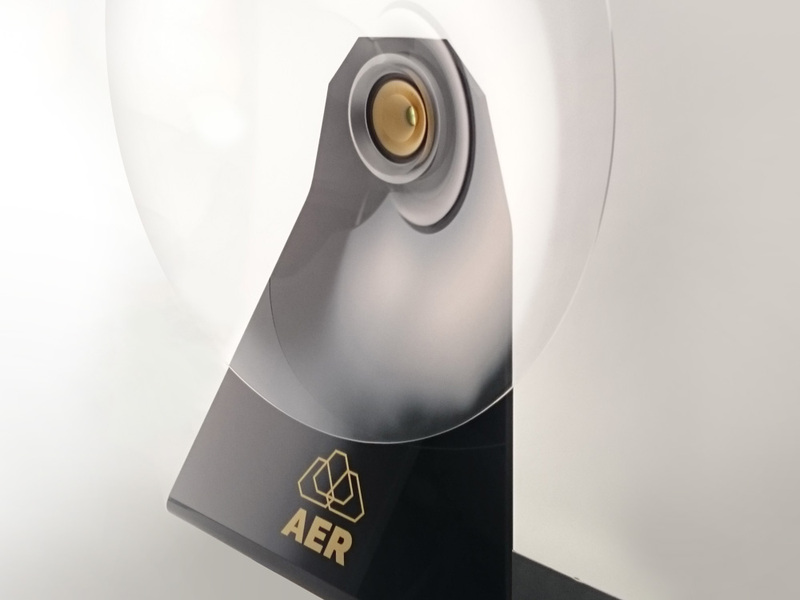 Since the Excenter Horn is driven by a full-range loudspeaker which transmits almost every detail of the music, it conforms to the ideal of point source sound. 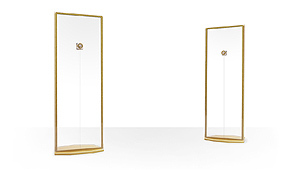 This guarantees an excellent spatial representation of the music, free of interference. 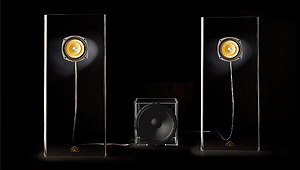 The speaker effortlessly places a wide and deep stage in the room, positioning each musician where they belong. The music emits from the speakers in ideal fashion and is natural-sounding and accurately reproduced down to the last detail. 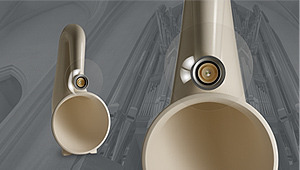 The Excenterhorn is perfect for purists, as the full-range driver can be operated without crossover or other components, and its sound characteristics make it ideal for classical music fans. The Excenter speaker can be used with any good transistor or tube amp, but power is not essential. A single-ended amp with only one watt of power is enough to reach a volume of over 110db. With the appropriate amplifier and a separation of the broadband below 80Hz, sound pressure levels of over 140db are easily achieved. 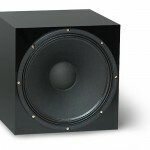 Excenter comes with our active Subway subwoofer for the low frequency range. 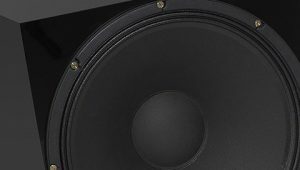 However, any available subwoofers of good quality are also suitable.